Several squads had 'off' days, while others shined and revealed their true talent. 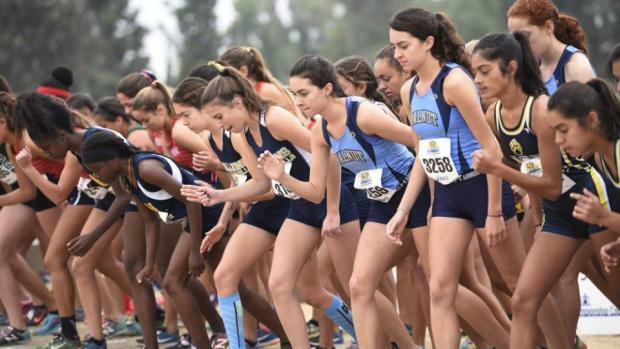 With the Southern Section Advisory Committee opting to allow for deeper rankings this season, there will be more at-large entries accepted into the postseason than ever before! This was a GREAT move that benefits the sport as in the past, there were a number of teams that would have advanced to the Finals (24 teams) that, unfortunately, did not move onto the postseason. We project several at-large entries to move on this season, thus, adding to the overall depth at the November 20th SS-Divisional Finals. As you will see below, we have over 40 girls' squads on our radar. When throwing the Top 30 teams into our subjective merge that also take into account course conversions -- this is what was revealed! You will notice that 5 of the top 6 squads (and 6 of our top 9) all hail from Division II ... BUT we suspect that Vista Murrieta and Mira Costa have plans to change that in the next 2-3 weeks! *Captured the Southwestern League title quite handily, even with a shuffling within their top four. *Easily captured the Palomares League title with one of their best performances of the season. *Dominated the South Coast League in impressive fashion. *Unchallenged en route to a commanding effort at the Crestview League finals. *Unchallenged at the Mojave League finals as we're drawing back to last week's Apache Invite for a more accurate picture of their talent. *Impressive performance to capture their 13th straight Foothill League title. *Not too far off from what we've seen in their top four slots, but 5th scorer was much farther back than expected in taking 2nd at the Southwestern League finals. *Bounced back from Mt. SAC to win the Bay League title against top competition. They're right back to where we had them before Mt. SAC! *Our greatest mover as they held their own against Mission Viejo to take 2nd at the South Coast League finals. *Captured the Sunset League finals with ease while holding impressive efforts from two other opponents. Those last four spots for the State Meet are pretty wide open, but we have the Barons slated to finish in the top five. *Runners-up to Mira Costa, but nonetheless, data has them moving up this week. 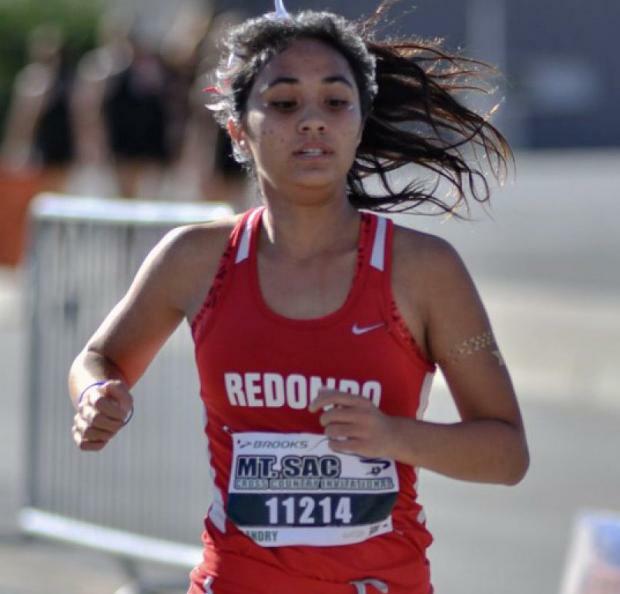 *They impressed at the Riverside Invite, but more so after their dominating performance in capturing the Marmonte League title. *Tough run in taking 2nd to Claremont at the Palomares League finals, but not their best race here as most of their scorers were farther back than what we expected. *Runners-up to a strong Saugus group, but still a little farther back from what we projected. *Tough to judge as they raced to an unchallenged effort to win another Hacienda League title. Their regular No. 5 was off at their league finals. *Best race of the season as they cruised to the Big 8 league title with ease. Another race like this in two weeks will have them knocking on the door to the state meet. *Unchallenged to win the TCAA title, but still waiting until finals to see if they deserve to be ranked this high. *Easily captured the Ocean League title, as their top four kept a tight pack like they've done all season long. *One of the teams off the radar until their effort at the Riverside Invite. They captured their first ever Pacific Coast league title but it wasn't as easy as we thought. *Tough challenge as they took 3rd in the Southwestern League. But their scoring five had trouble keeping up with past efforts that we've witnessed from them this season. *Despite taking 2nd place at the Sea View League final by two points, when merging the top 30 squads altogether, they came out ahead. *Group that took 3rd place at the Bay League finals, they had to take on two great team performances from Mira Costa and Palos Verdes. *Outlasted Laguna Hills for the two-point victory for the Sea View League title, but what a log-jam of sorts with this last seven squads. *Tough going against Westlake as they were runners-up at the Marmonte League finals. Nonetheless, they had a solid performance that keeps them in the top 10 for all Division II squads. *One of the 'step-up' performances coming out of all league finals, the Griffins took 2nd behind a strong Fountain Valley squad at the Sunset League finals. This group is one of the most improved over the past two months. *Caught behind Beckman's impressive run this past month, this group stepped it up and was not too far behind to take 2nd at the Pacific Coast League finals. We've expanded our list to the top 25 schools this time around! With league finals taking place now, we will continue to have a more clear picture as all of these squads move into the postseason! Photos by Lizette Adams, DeAnna Turner, Frank Bellino, Patrick Corsinita, Clark Kranz, Jeffrey Parenti. They were slightly off at the Mt. 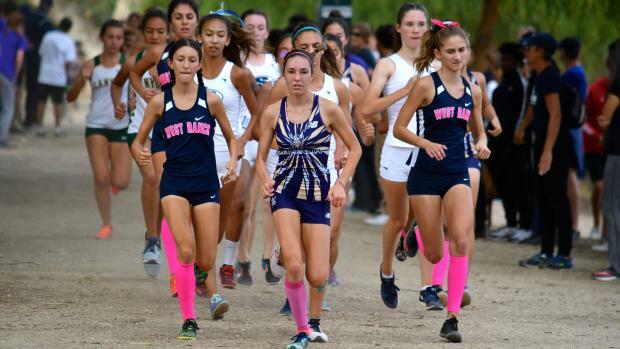 SAC Invite but easily outdistanced Canyon, Walnut and La Costa Canyon. They will need to run their 'A' group at the Southwestern League finals as Vista Murrieta will give them a good push this week. Gave their varsity the weekend off at Mt. SAC, but started their postseason with a dominating performance to capture the Palomares League title over a strong Ayala squad. The Broncos are coming together at the right time, with a strong showing to win the Riverside Invitational. 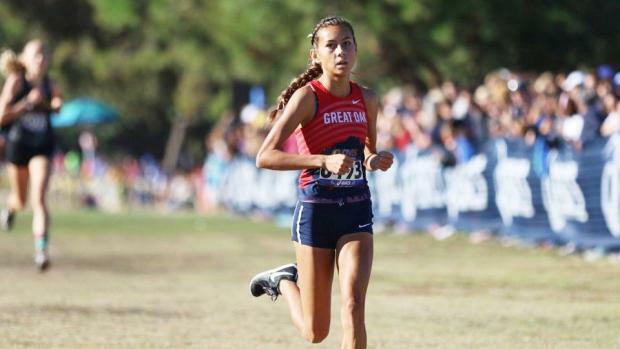 Devyn Candaele rolled to the 17:24 win despite staying controlled for most of the race. A healthy Paige Haynes will look to add more firepower to this group over the next month. Their varsity crew, sans Kelli Hines, competed in the non-sweepstakes varsity races at Mt. SAC. Under warmer temps, the squad went un-pressed and shined while Ashley Johnson made her season debut. They were runners-up to Great Oak in the Team Sweepstakes race at Mt. SAC. This was the second straight high-level success for the young group. Sat out Tiani Goeson along with another scorer at the Mt. SAC Invite, but came back to capture the Apache Invitational last Friday with a full group. 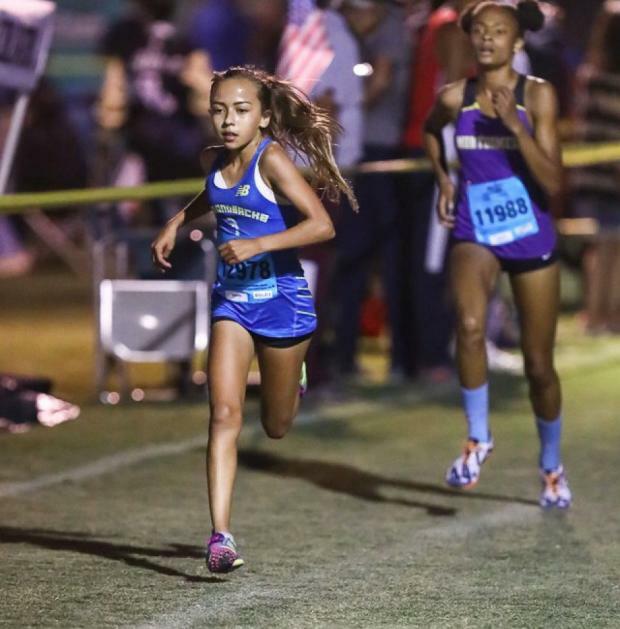 Goeson, a freshman, ran second to defending section D-V champion Mia Barnett (Village Christian) at Apache, the only two sub-17s among girls on the flat 3-mile course. Did not compete the weekend of Mt. SAC and/or the Riverside Invite. Seeking a 13th straight Foothill League title this week! Canyon Country Canyon captured titles from 1994 to 2005 and Saugus has claimed the title ever since! Bounced back well from the Orange County Championships to take 2nd place at the Riverside Invitational. We still feel that this group has not run their best race yet and could finish as high as 3rd at the Division I finals. It's pretty wide open in those last five spots to the state meet in that division. They sat out most of their varsity squad at the Riverside Invite. With that, those that did compete impressed, led by No. 5 Emily Garcia, who crossed at 18:43 on that course with No. 6 Megan Oh coming back with an 18:51. Finished 2nd to Claremont at the Palomares League finals as expected but perhaps a little further back than expected. As much as the three-minute scoring gap worries us, they looked very strong at the Mt. SAC Invite with a 93:08 team time. The group of five schools has become a turnstyle of sorts in the Division I race for the state meet. Not much separates his long jam of talent in Division I that lies after Great Oak and Vista Murrieta. We will see how close they can finish to Saugus at this week's league finals. We may have this group under-ranked as their performance at Mt. SAC is dictating the drop on our list. Despite this race, this group could still very well finish as high as 3rd place at the Division I finals in several weeks. This group continues to take another step forward as Samantha Steman was only 10 seconds behind teammate Savannah Scriven at Mt. SAC. They continue to be our odds-on favorite to capture the Division III title in several weeks. 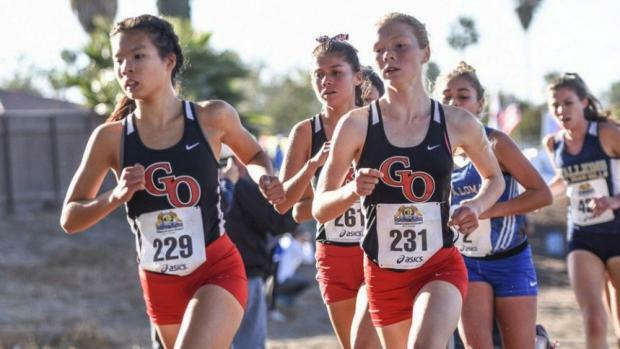 Could the Southwestern League send THREE schools to the state meet in several weeks? Chaparral would like to make that happen as their 95:24 performance was impressive. Ran well at the Mt. SAC Invite as their lineup continues to be interchangeable. Brook Secreto took over the pacing chores up front for them these past two weeks. Heavy favorites to emerge as the Division IV champions in several weeks. We still feel that this squad has another gear in them, as is usually the case for the Dragons once November rolls around. This group opted to train through the Mt. SAC/Riverside Invite weekend and looking for a strong postseason run, starting this week with the South Coast League Finals. This group had been improving with every race, but Mt. SAC would indicate that the results took a slight step back there. The positive that came from Mt. SAC was the tight 17-second gap experienced from their No. 2-5 group, while No. 2 did not compete. Great team performance at the Riverside Invitational as they captured the Division II varsity race. They have closed that gap between them, El Toro, and Capistrano Valley. We have this group breaking 93 minutes if they had competed in the larger schools race at the invite. They are our highest mover on the SS radar these last two weeks. Solid performance at Mt. SAC two weekends ago but still just off the cusp on claiming one of those seven spots to the state meet. This week will reveal a little more as they take on Mira Costa and Palos Verdes at the Bay League Finals. Took the last several weekends off to prepare for this week's Ocean League finals. Eye-opening performance at the Riverside Invitational, taking 3rd place at the Division I varsity race and rolling with a team time of 93:30. Three of their top four are freshman but it was senior, Jocelyn Hill, who shined with her 18:02.7 breakout race. This is her first year in the sport, after focusing on the 800 meters the past two track seasons. 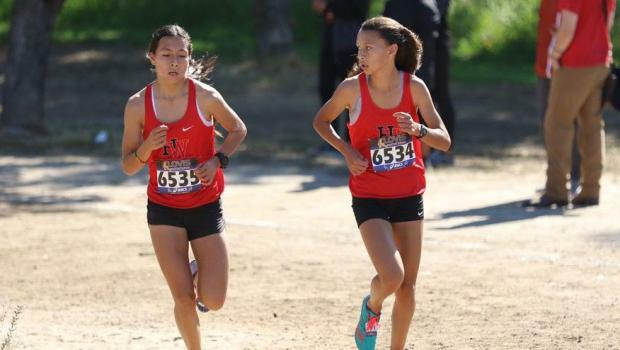 The Quintero sisters shined up front as expected at Mt. SAC. Their team time was actually faster than Foothill Tech but Foothill obviously surpassed them with a much tighter gap. This group figures to get that much closer at the divisional finals in several weeks. A slight bump at the Riverside Invite after finishing with a 94:26 team time. 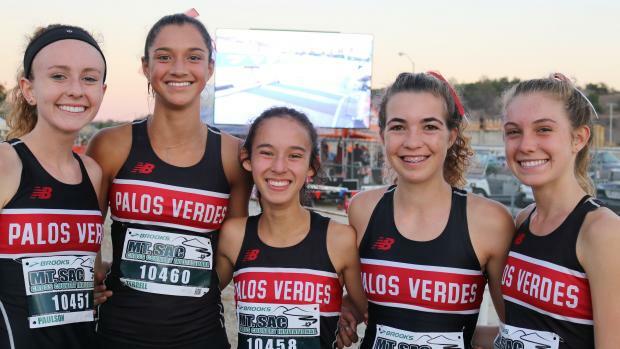 Their 48-second scoring gap continues to be among the best in their division, but as a whole, they definitely need to move up to continue to have state meet aspirations. Tied after four runners, the Tritons held on for a two-point victory over Laguna Hills at the Sea View League finals. 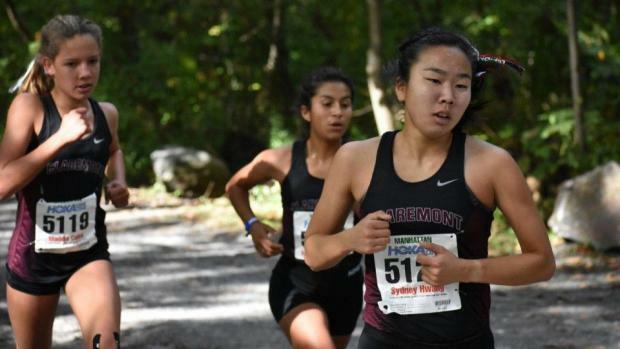 Junior Hana Catsimanes ran to an easy individual title to lead her squad. They've been off the grid for most of this season and very difficult to read. Well, the Sea View League finals shed a spotlight back on the defending Division III CIF champs! They finished just two points behind San Clemente in a hard-fought affair. With a squad of six seniors, they are obviously ready to take on Palos Verdes at the divisional finals in several weeks. On the cusp: Aliso Niguel, Los Alamitos, Newbury Park, Santiago, Tesoro. Others: Bishop Amat, Brea Olinda, JSerra, Laguna Beach, Moorpark, King, Oak Park, Roosevelt, Valencia, Ventura, Woodbridge, Yucaipa. Others: Emma Arriaga (Walnut), Annabelle Boudreau (Corona del Mar), Makayla Browne (JW North), Hana Catsimanes (San Clemente), Devyn Candaele (Vista Murrieta), Maddy Coles (Claremont), Carly Corsinita (Capo Valley), Audrey Dang (Great Oak), Emma Hadley (Canyon), Maria Hernandez (Santa Ana), Sydney Hwang (Claremont), Archana Mohandas (Newbury Park), Diane Molina (Costa Mesa), Daniela Quintero (Harvard Westlake), Natalia Quintero (Harvard Westlake), Amber Rios (Colony), Savannah Scriven (Palos Verdes), Nadia Tabrizi (JSerra).